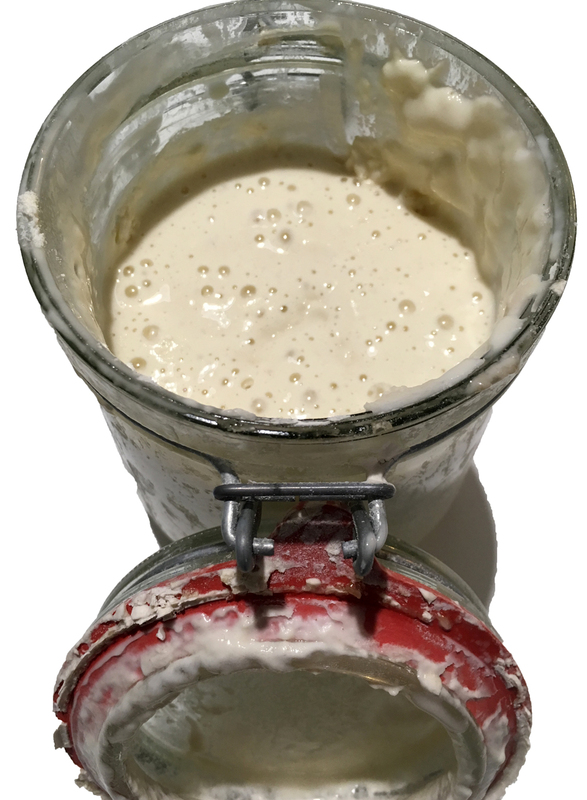 Now that I’m back in my kitchen, one of the first tasks was to revive my sourdough starter. It is long suffering, resigned to its fate in the refrigerator while I go galavanting around. Luckily, it is also forgiving. After a day of TLC, feeding it bits of flour and water, it was back, bubbly once more. 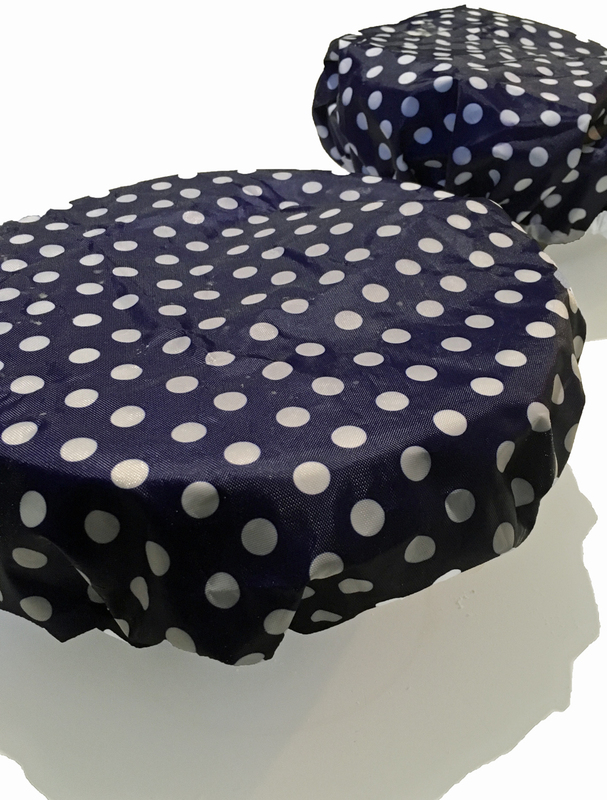 In my perambulations, I managed to buy new shower caps – ideal for bread rising and easily cleaned. They are also prettier than the cheap clear plastic ones. March also started the days of fasting here in Greece. 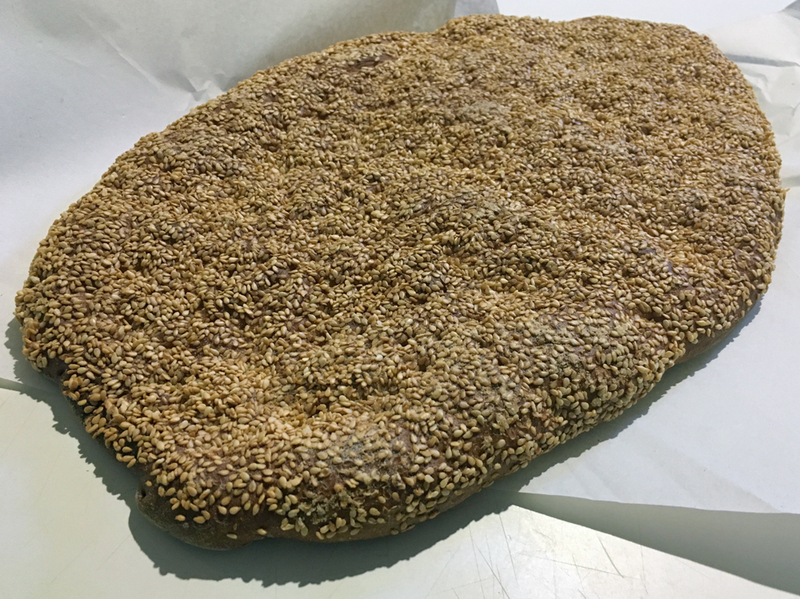 It began with Clean Monday when lagana bread is eaten – a flat bread studded with sesame seeds. 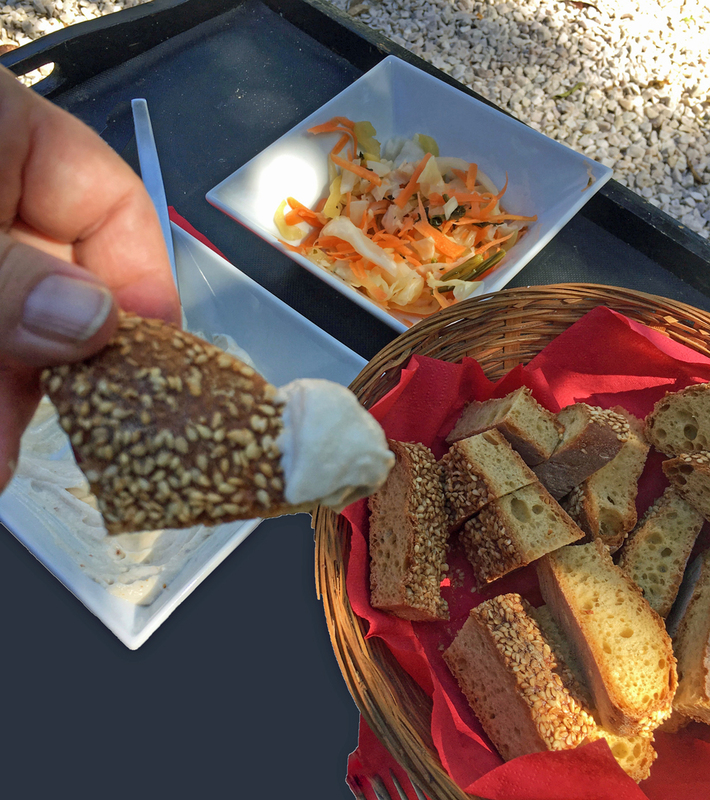 We had our first picnic of the year in the garden, a simple tray of lagana with the traditional taramasalata and a contrasting fermented cabbage & carrot salad. 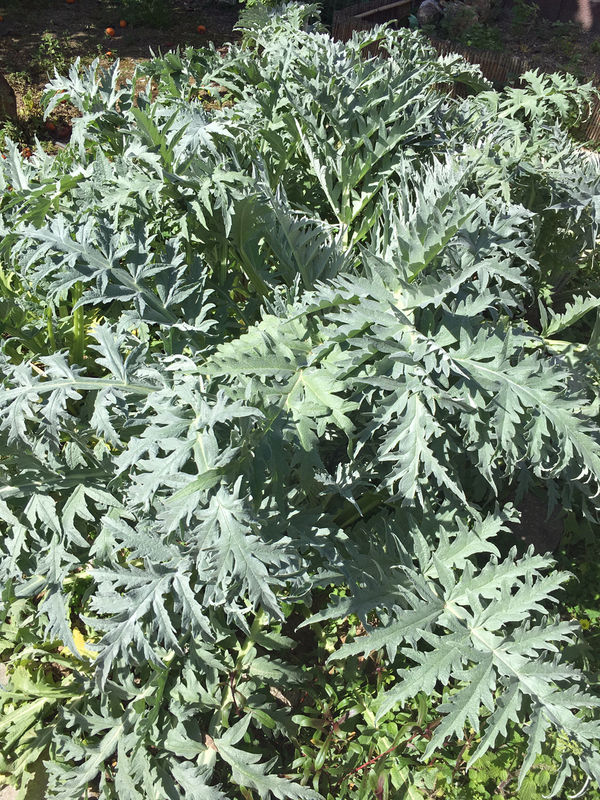 And speaking of pickles, since we just finished last year’s pickled artichokes, I’m heartened to see the new growth on our artichoke plants. They were a great success, so I’ll be doing that again – once those globes start growing. One weekend, we went to Laconia – Mystra and Sparta – and came back with lovely local olive oil. 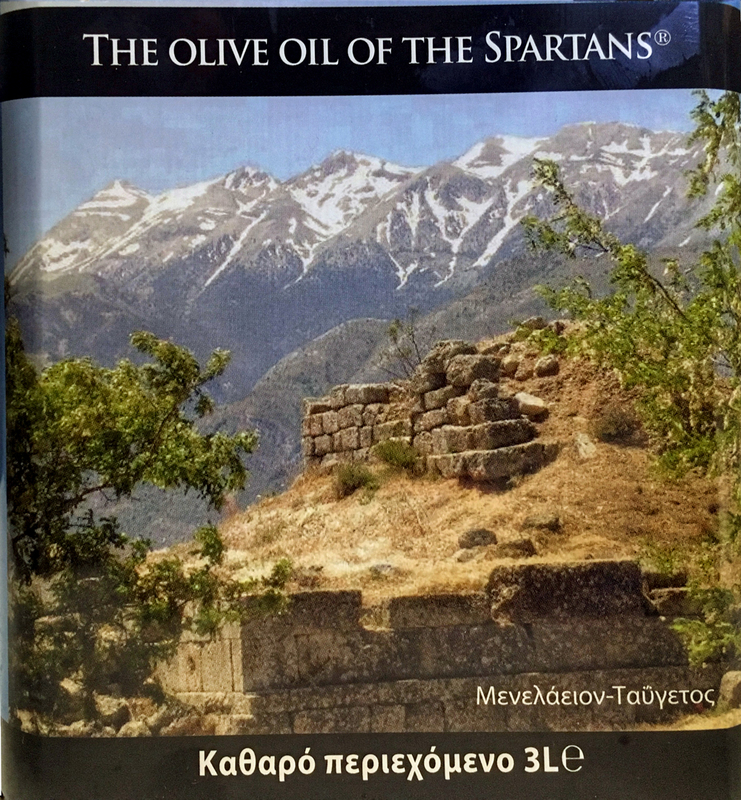 I love the photograph on the oil tin of the Menelaion, an ancient sanctuary dedicated to Menelaus and Helen. It lies to the east of Sparta on a ridge top where you get perfect views of the Tayegetos mountain range. Just like the photo, the mountains were snow covered when we were there. On the way back to Athens, we were advised to stop at a local eatery on the old road from Sparta just as you cross into Arcadia. The place does a decent breakfast and (importantly) has a small shop catering to local products. 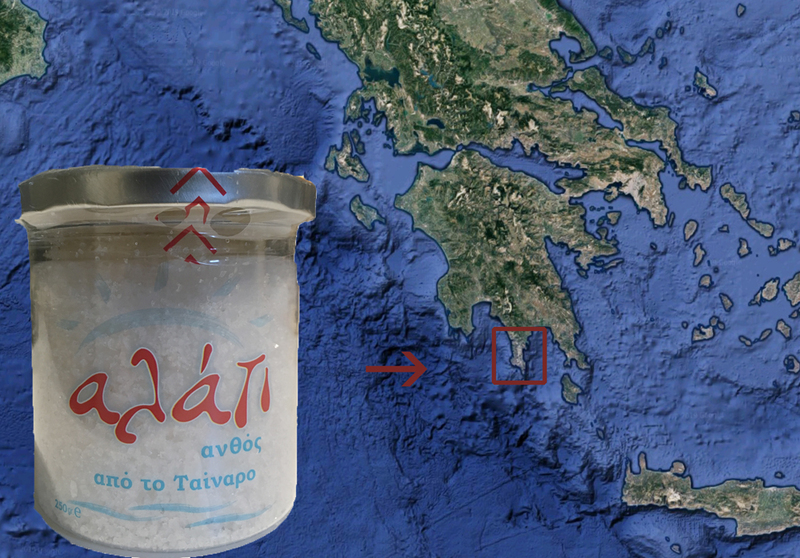 We picked up some sea salt that comes from the tip of the Mani peninsula as well as huge bags of local pastas. 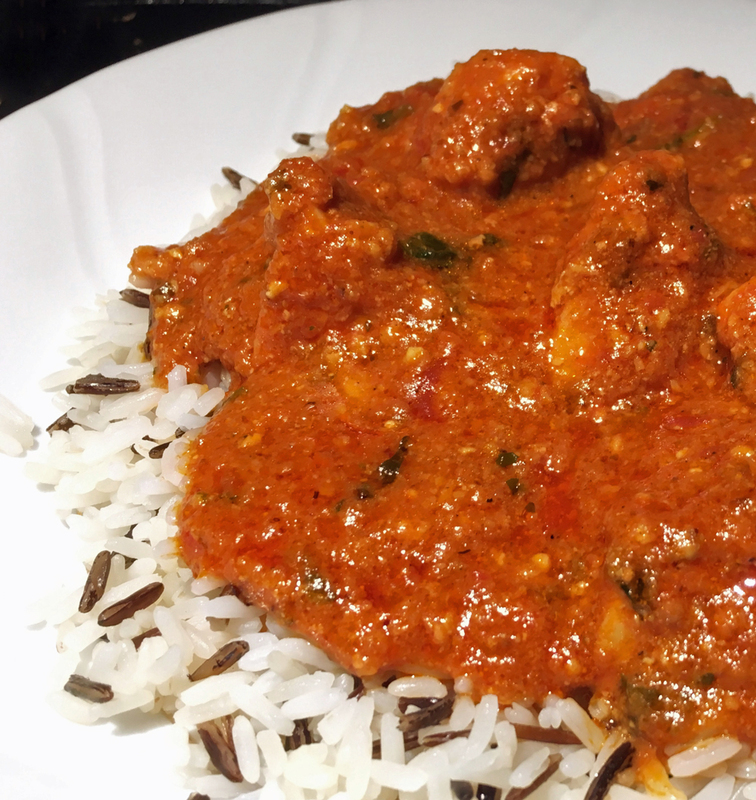 Back in my kitchen, I was determined to try a variation on Sandra’s Sweet Red Pepper Chicken Curry. I had a stash of leftover ajvar (a Balkan red pepper paste) which I substituted for Sandra’s red peppers. It was delicious. A delicacy of the Month is reserved for March 25. It is a double holiday: the religious observance of the Annunciation to the Virgin Mary and Greek Independence Day. This is the day when all the restaurants serve battered salt cod (bakaliaro) for the traditional lunch. The day inevitably falls within Lent and is one of the few days that an exception to traditional fasting is made. The bakaliaro is always served with a garlic spread/sauce (skordalia). The latter looks innocently like mashed potatoes (which is one of the ingredients), but don’t be deceived! A little goes a very long way. I much prefer a particular variation on this garlic condiment that use ground walnuts instead of mashed potatoes and the garlic is much more subdued. I’ve been told it is from the Pontic Greek culinary repertoire, but I’ve also been told that it is common in other northern Greek areas. The potatoes can also be substituted with parsnips. 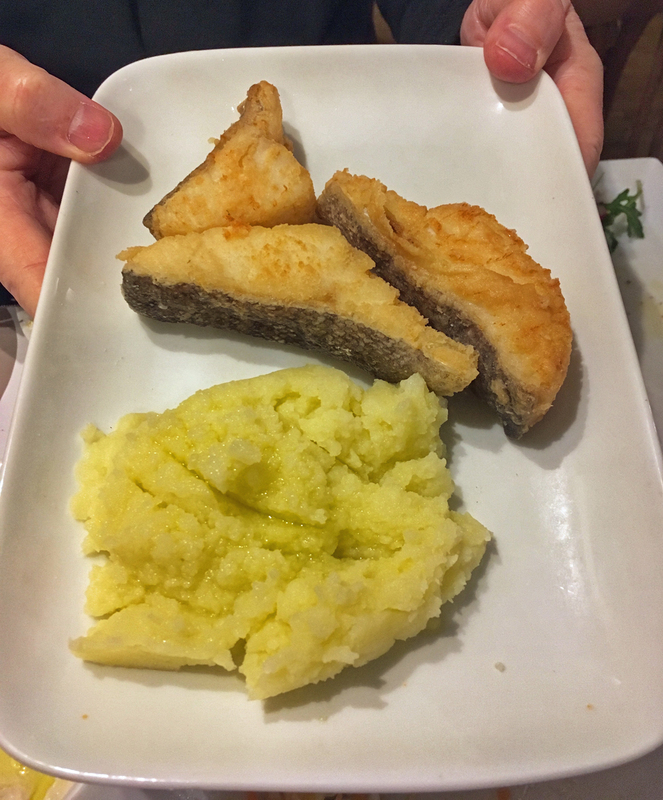 This latter makes an interesting skordalia, pairing the sweetness of the parsnips with the garlic, but this is obviously a non-Greek variation since parsnips are virtually unknown here. It feels good getting back into the cooking groove. We just spent two days in Milan (conference – alas no sightseeing, but plenty of dining). I am determined now to perfect risotto Milanese. Alas, I didn’t make lagana this year. We have a wonderful little shop nearby that sells homemade pitas and baked goods. Their lagana is sesame heaven. Sherry – it is very easy to make your own ajvar. I’ve tried bottled ones and they taste very different – one with a slight metallic aftertaste which was off putting. That olive oil is special and I love the photo, too. I’ve stood at that exact spot and the view is spectacular! Sherry, I found it difficult to use the link button this month. Is there something different? All your traditional foods look delicious. It’s fascinating how this type of Greek food really harks back to Ottoman era cuisine and resembles many other types of Eastern Mediterranean food. I agree, Mae. Many foods here in Greece hark back to older times. Many names for foods have Turkish counterparts – showing a shared history.